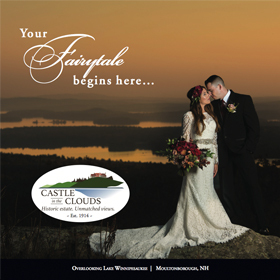 Castle in the Clouds is a 16-room mansion and 5,500-acre mountaintop estate in Moultonborough, New Hampshire owned and operated by the Castle Preservation Society, a private 5013 non-profit corporation. 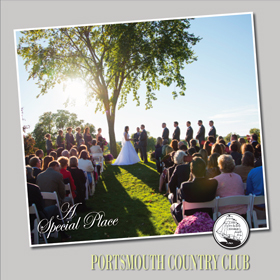 Portsmouth Country Club is a semi-private club, which means we are open to non-members for use of the golf course, banquet facilities & restaurant. The DiBurro Family has been in the catering business for the past 90 years. 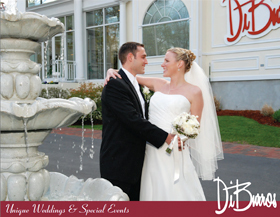 When you blend Five generations of expertise in the Food Service business along with our unique architecture and impeccably manicured gardens and grounds, you have the assurance of knowing that you have selected the MOST COMPLETE FUNCTION FACILITY IN THE MERRIMACK VALLEY. Located in North Andover, Massachusetts. 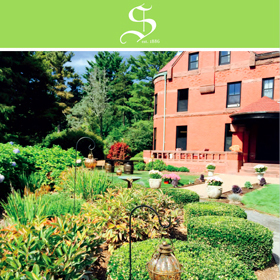 The Stevens Estate, listed on the National Register of Historic Places, is the perfect location to host your wedding, conference or family event. 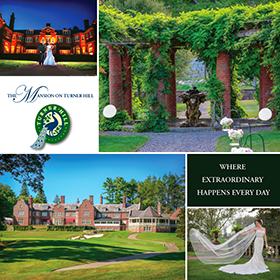 The historic mansion and 153 surrounding acres offer a unique, elegant and private setting for your gathering. 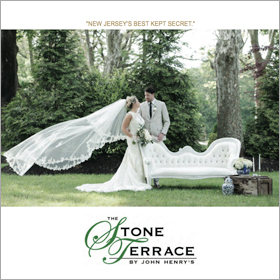 At The Stone Terrace, you will find our distinguished surroundings and elegant service the perfect combination for your wedding. Professional and personal, your wedding will be prepared with exceptional presentations, and gourmet menus YOUR WEDDING will be professionally orchestrated into a celebration that you and your guests will long remember! 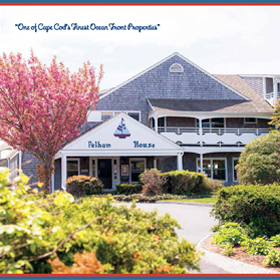 Overlooking a private beach, this Cape Cod resort is within a 10-mile drive of 8 local golf courses. Harwich Port, offering ferries to Nantucket and Martha’s Vineyard, is 4.4 miles away. All quarters have free WiFi, flat-screen TVs and kitchenettes. The modern rooms and suites in the main building have balconies offering ocean views. Rooms in a second property have patios or decks overlooking Nantucket Sound. The resort includes a 400-foot private beach with provided chairs and umbrellas, plus a saltwater pool. There’s also a putting green, tennis court and fitness room. Laundry facilities are available for a fee. 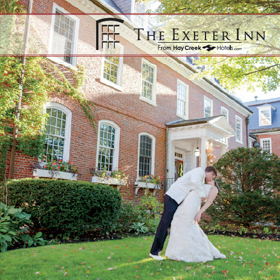 Built in 1932, this upscale inn on the Phillips Exeter Academy campus is a 6-minute walk from Exeter Historical Society Museum. The traditional, sophisticated rooms have free WiFi and flat-screen TVs with cable channels. Suites add sleeper sofas and garden views; some have fireplaces or whirlpool tubs. A refined restaurant offers a farm-to-table menu, with options for indoor or outdoor dining. There’s also a fitness center and meeting space.